Hadijatou Mani, the former slave who successfully sued Niger for failing to protect her from slavery, has been named by Time magazine as one of the 100 most influential people in the world. 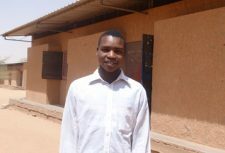 The 25-year-old was recognised in the 2009 list alongside the likes of Barack Obama and George Clooney. Hadijatou was born into a slave ‘caste’ and sold to her master at the age of 12 for the equivalent of $500. She was made to work without pay and was used as a sexual slave. 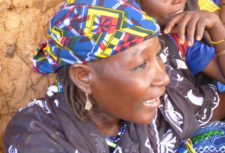 With the support of Anti-Slavery International, INTERIGHTS and local NGO Timidria, Hadijatou took her grievances to the top regional ECOWAS court, which ruled in her favour last October. So far 2009 has been a good year for Hadijatou. On 11 March she was presented in Washington DC with an International Women of Courage Award by Hilary Clinton and Michelle Obama in recognition of her courage in combating slavery in her home country. On 31 March, Hadijatou’s former master, Elhadji Souleymane Naroua, was found guilty of slavery and sentenced in absentia to 12 months in prison. He was also fined the equivalent of $1,000 and ordered to pay $2,000 in damages to Hadijatou. A warrant has been issued for his arrest. In April the Government of Niger finally paid Hadijatou the 10 million Francs CFA ($20,000) in damages for failing to protect her from slavery ordered in the ECOWAS court judgment. 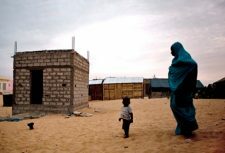 Though the practice was criminalised in 2003 at least 43,000 people remain in slavery across Niger.